"You're all doing a great job at MyFirmsApp! Keep up the great work." "It’s a lovely App – much nicer than carrying a business card. I was with a group of business people recently, they were all handing out business cards and I said, “well, I’ve got an App actually – and they all looked impressed!” It’s easy to find on the Playstore & easy to download there & then. With business cards people will file them away in a drawer, if they’re organised, but everyone carries their phone around and so they have access to your details on the App instantly." "I would like to personally thank you for spending almost 3hrs with me on the phone today exploring, explaining, and overview nothing short of every aspect of both the dashboard as well as the App itself. We have undergone many technology upgrades lately and it is great to know that we have a strong, knowledgeable, and easily approachable support base that has given us the added confidence we needed with this project." "The professionalism of the work you’ve done is astonishing. Everyone has been positive about you. Your patience dealing with people is astonishing. I admire how you do this to no end. It’s so kind to take the time to talk about using push – now I understand what it is, your product knowledge is superb. I appreciate the customer care – we feel really comfortable with the care you guys put in." "Steffan and his team design our app based on a logo we had and after helping and supporting us and amending the app icon a few times to fit our needs we were very pleased with the outcome and looking forward to see the final app launched to show our customers and potential customers for the future and would like to thank My Firms App for all their guidance and support and would recommend them anytime." "I love it. The App works really well for us. It’s great to show clients – it has a whole host of tools for them to access straight away, and they don’t have to keep asking us all the time. It’s also always kept up-to-date with tax calculations. I find the App is a handy tool internally as well; whether we’re out and about seeing a client or demonstrating it, it saves us having to bring up different software. We also use it to drive traffic to the website and social media channels. MyFirmsApp have always been very helpful when we’ve needed support with the App." "We have been using it for about a year now The Receipt Manager is the most used page and we also promote it regularly in our e-newsletter and the articles about it are consistently opened and read. I personally love it. It’s such a unique talking point. When I tell someone we have an app, they’re always very impressed and think it’s exceptionally cutting edge." "I just wanted to say what a pleasure it is dealing with everyone at MyFirmsApp; you are all so helpful and cheerful!" "I was very impressed with the work and support from Steffan from the design team at MyFirmsApp. The process and communication was smooth, even with the challenge of working across different time zones, the time difference actually helped minimized delays. I would submit my revisions so he would have them at the start of the next work day and minimize losing time. Steffan did a great job in aligning the app design with the company’s branding to have brand consistency. Thank you for all the quality and timely design work! Great service all around!" "I love the new design of my App. The updates I had asked for were applied very quickly AND the design included some great things I hadn't even thought to ask for! Excellent service." "We pride ourselves on being a little different and so our App was a perfect way to present ourselves to our current and prospective clients in an easy to keep (and use) medium. Right from the start, the team at MyFirmsApp answered my queries promptly and help has been there when I need it. When I am asked for a business card I just get them to download the app and I know they won’t forget MWM in a hurry!" "All the thought leaders have been bringing up lately about how a CPA firm or bookkeeping service could really streamline efficiencies with their own App. What MyFirmsApp has built for accountants is something very special, and it is more than anything a concept that I think is really critical for accountants to think about and embrace. What I am so excited about is obviously strengthening your client relationship and deepening it, but I’m excited about the marketing aspect of it. But it’s not just that it’s going to save you time and money, it’s going to save your client a lot of time and money. We all know it’s the future; everybody’s working from their phones. That was my first reaction! But that was before I took a moment to think it through. I would encourage any firm to think about how much money and time, what dollar amount would it actually save – even as far as a place for that client to go download their portals, logins and software access. I mean I started thinking about the organisation, the workflow and the efficiencies that it brings to a firm as you mentioned and when I started thinking, it seems to me that this thing more than pays for itself even before the marketing etc. Reader might have same reaction I did, but I think you know it’s something that you should really think through. It’s really a good deal, and you’re not charged per client.” "
"I have an admission to make… I really didn't “get” apps for accountants. But then I had the pleasure of hosting a webinar where David Oliver explained with crystal clarity why it is essential for accountants to feature prominently on the mobile phones in their clients’ and prospects’ pockets. And now I am completely convinced. I was also really excited by the potential of the advanced push notification technology built into the MyFirmsApp to put relevant, timely and targeted messages into clients’ hands. And it seems to me that every single accountant who wants to remain relevant must take this kind of technology really seriously." "Sovereign Asset Management chose to have our own firm’s App primarily because we believed it would support our efforts to always provide the best service to our clients. Our aim was to allow customers to quickly and easily obtain relevant information through their smartphones and tablets and to build a stronger relationship with our clients. MyFirmsApp have provided exceptional and professional service from inception to ongoing servicing. We have a named point of contact who always responds immediately to any queries. We are delighted with the App, having received extremely positive feedback from clients who use the App regularly. We believe that it adds another layer to our client relationship and service." "Joe - thank you so much, you are so lovely to work with! I have just recommeneded you to a colleague in Oz who saw my FB post, saw the app and asked where I got it! Thanks again so much and also for the feedback! One of our clients is a global sports marketing company - they have asked to steal the footer designs from our emails :) Now that's flattery!" "Having tried various marketing efforts, some of which worked and others, let’s say 'didn't set the world on fire', we were keen to innovate and have new ways to engage current clients plus generate referrals and attract the type of new clients we are after. The MyFirmsApp platform is ideally suited to that and outside of how we see our clients using it, promoting it on LinkedIn and Facebook for example will really help us attract those professionals running small businesses." "I wanted to just thank you again for all your hard work on our app. We are absolutely thrilled with the outcome and so appreciative of your advice and support." "We launched our new App in May and the response has been great. Our clients love the great features, such as the Logbook and Receipt Manager. It’s easy to use and saves them hours. As an added bonus, it will make life a little easier for us come tax time." "All the way through the development we have received great support from the MFA team, especially Kim. When it comes to the app going live the online resources for rolling it out are comprehensive and gives a great start. Where we have noticed the greatest impact is competing with other accountant’s business. For a small firm like ours we have found we gain instant credibility when competing against larger competitors, for example we encourage prospects to download the app prior to the meeting and almost all of them do. As for existing clients they are always keen to point out how useful they have found the app. A great decision for a practice like ours that is ambitious and forward thinking." "We chose the MyFirmsApp solution because we recognise the shift in society which is overwhelmingly technology based today - across all generations. The GPS Mileage Tracker, Photo Receipt Manager and especially the Push Notifications we can send, create real value with our clients. In fact, the ability to send a Push notification is one of the capabilities that we find most beneficial! It saves so much time, even for sending out general reminders - and our clients love them too. We can also post important articles in the App which keep our clients up to date with tax law issues and help answer questions we frequently receive from them. More and more clientele are part of the millennial generation and they will be expecting their CPA firm to have an App. Just in the first 10 days roughly 15% of our clients have it, and that number will continue to grow rapidly. What’s more, we are the first firm in Houston to have their own App for clients, and the marketing differentiation this creates for us is truly fantastic. In short – this is something all CPA firms should have!" "The App will certainly transform the way in which we communicate with our clients. Email communication can often be lost in this day and age of swelling mailboxes; the App ensures we can deliver concise and relevant information, straight to their smart phone. More and more clients are performing accounting and tax functions using a mobile device, and the software vendors themselves are spending significant resources developing their mobile Apps. Our new App can blend with this and form a neat connection between the client, their accounting software and their advisors." "We are now very firmly in the ‘age of connection’. MyFirmsApp are now enhancing that at an amazing level, which is why so many of the clients I serve are using these processes – specifically to connect. Of course I recommend the App; I’ve got to see my data, I’ve got to be connected with you – it needs to be right there and that’s what the App does. You’re giving clients access to their information and other things they might need to do a better job and, importantly, to stay more connected to you – great for developing client loyalty. It’s a brilliant way of using technology to connect. The feedback is always ‘I love it.’ People are inspired. Just do it – you will be so thrilled that you did." "The experience I’ve had with MyFirmsApp has been excellent. The journey of developing our mobile App has been one of the greatest, if not the greatest, professional experience I have had in my 20 years of being an accountant." "We were keen to launch our own App to give our clients, potential clients and professional connections the option to receive regular communications from us via their smart phone and/or tablet. We needed something that was cost effective, fast to market and easy to use and which also dovetailed with our website. MyFirmsApp gave us a great value App through which we can now easily distribute our ongoing content via our unique ‘Wealth Alerts’ service using push notifications. Our App is a tangible demonstration of our innovative and client focused approach, which helps existing clients to introduce our firm to their friends, family and colleagues." "We think it’s a game changer. It’s going to change the way in which you get your financial information and the way in which we communicate with you. It’s an obvious way we can deliver information on a regular basis, and keep you updated to your financial matters. It’s going to eliminate some of the hassles in terms of lost receipts, logbooks, and you’ll never have to look again for tax tables, superannuation rates or other information relating to your financial needs. And here’s something really smart; you can call us, email or request an appointment – directly from within the App." "Our App looked great and has been both a good client engagement tool and conversation piece with prospects. I know that we have over 190 individuals using our App but has it actually generated new clients? To be fair I didn’t really expect it to, knowing how hard it is to genuinely track lead sources. So when a new client came on board I was rather shocked to find that the tipping point, the thing that that ‘really’ made the difference and encouraged them to choose us was our App. It’s a sign I am sure of things to come and the future of things to come." "I knew having an App would differentiate us. What I underestimated was by how much and in how many different ways. We have had PR articles and people sharing feedback with us on the App stores. It’s strengthened our message of being proactive, forward thinking innovators and helped us become even more visibly different than our competitors. Clients love it. I mean not just downloading it or using it once or twice. They are engaging with it, some of them multiple times each day. And each time they do, our branding and name is in front of them. And all for such a small investment of money. And best of all it doesn’t require any of my time to manage it." "At last, something exciting for accountants...Whatever next?" "As a leading proactive Scottish Accountancy firm for over 45 years, and ICAS member, seeing the MyFirmsApp solution is one of the most exciting things I’ve encountered in my career. It’s a genuine breath of fresh air!" "Members of 2020 are looking to be different from the run-of-the-mill accountancy practices. That differentiation can be further enhanced by using the services of Insight and MyFirmsApp. We have been utilising their services over the last 3 to 4 years and are delighted by the results. Why not see what they could do for you?" "I always want to go the extra mile for my clients and when I heard about having an app for my practice I was very excited by the idea given the recent trends for social media and mobile technology. I love the key dates, calculators and tax tables as they are very useful to my clients but the app also provides another easy way for clients to keep in touch and up to date. The ability of the app to also promote my business to those downloading the app, having a chance to find out about me and my practice, what services I offer and a link to my website is great. It has also given me something interesting to talk about on social media and something different to offer. The team at MyFirmsApp have been very helpful and adaptable to my needs providing help all along the way." "I would wholeheartedly recommend MyFirmsApp and the App solution to any accountancy firm or 2020 member wanting to embrace their mobile clients." "We’ve learned a lot from developing the new app with Daniel & his team at MyFirmsApp. We believe our new app is an excellent way of introducing ourselves to new clients." "Just to let you know, I asked 2 fledgling Accountants yesterday to check out the product. One was 22 and one 25. Both thought the product was great and intuitive which proves my theory exactly that this is the future and old dinosaurs like me need to wake up to it!" "We are in changing times where access to information needs to be fast and accurate. Clients are becoming more savvy with the latest software and having an App shows to them that our firm is on the same page and looking into the latest working methods. We have had some very positive feedback from clients on our New App." "Thank you to the Team at Insight for developing Thoburn & Chapman’s new App. It looks absolutely great and the content is spot on for our needs of helping our clients get easy access to important info and getting us in the shop window of potential customers who fit our ideal client profile. It seems to be doing both jobs really well for a minimal investment. The feedback from our clients has been 100% in favour. Well done!" "We are delighted with our App which was designed by the team at MyFirmsApp. The process was simple and the cost extremely competitive. 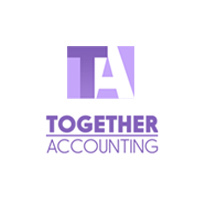 It gives us great content in two sections – first the tax tables and really helpful calculators, and second the content we can update ourselves, helping us keep clients and potential clients updated with news and events at Alexander & Co and different ways we have helped clients. It’s a fantastic marketing tool with links to our blog, website and social media." "We met with MyFirmsApp at ICAS Edinburgh offices at a meeting arranged by ICAS. The meeting was great, exceedingly helpful and subsequently we chose to get an App built for our firm. They took the time to understand our goals and needs, to explain the market place and options we have. Not only did the App look great but the entire process from order to getting our very own App approved by Apple and Google has been smooth, professional and highly efficient throughout. Highly recommended and refreshing to have made a decision and then have our App live so quickly. We look forward to marketing it now and continuing to be on the cutting edge as a firm." "I shared the App with 1500 of my clients, and the feedback has been overwhelmingly positive. So for us the App had already more than paid for itself. However its benefit to our firm has not stopped there. We promote it on our site, it has helped to increase web traffic and given us a great conversation piece when meeting new clients. One example is a prospect who came to see me, who had already met with 3 local firms. The meeting was going well, and towards the end of the meeting I showed him the Zaidi & Co App. The client was impressed. It was one thing that the other 3 firms didn’t offer. He signed up with us that afternoon, and part of that success is down to the Zaidi & Co App developed by MyFirmsApp." "Choosing an App through MyFirmsApp has given us a strong differentiator in an increasingly competitive market. Our clients expect us to be innovating for them and our new App – which is as close to bespoke as possible without paying those high prices – is a terrific way to show them we care. They enjoy using it, it improves our interaction with them and it will continue to play a valuable role in our marketing as a Firm. It is also great to know we get the on-going support from the team at MyFirmsApp who continue to develop for us, plus can share ideas and provide input in how to get the most from this tool and mobile technology. Simply put, our App says a lot about us to our customers, prospects and affiliates – without us needing to say anything at all." "Tower Hill Associates Limited, an Accredited Financial Planning Firm and Chartered Financial Planners have developed a strong brand in the Richmond and Surrey area which needed protecting in an increasingly competitive digital world. Having heard Daniel Richards of Insight Marketing present at an IFP event I could not only tell that he “knew his stuff” but also that helping professional services firms with their branding and digital marketing was a particular niche of the firm. 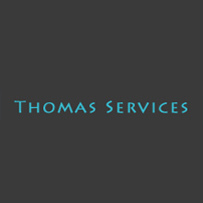 During follow up conversations I became more and more relaxed about working with the team and could see that their specialist industry expertise/knowledge combined with 30 + years of sales and marketing experience would help Tower Hill Associates to improve their social media and digital marketing. Whilst it is relatively early days, I can confirm that so far they have been professional, helpful and diligent and I am happy to recommend them to other financial service companies looking for expert sales and marketing assistance." "As a firm of investment managers we know a growing number of our clients and potential clients use Apps. So we knew we needed to find a way to reach out to them in a modern, technologically advanced manner. To interact with them via the devices they use every day, smartphones and tablets. When we saw the demonstration of the My Firms App solution we knew this was the perfect solution for us. The entire process from enquiry and order to App going live in the Apple and Android stores has been fast, efficient and professional." "When researching the MyFirmsApp solution, I wanted to take the time find out what my clients thought. So I took a few moments and sent out the idea to over 100 of them. At the time of writing this short email, 20 have already responded. And I am excited to say the vast majority thought the App was a great idea. I also thought you might find some of the comments interesting. "As a leading firm of financial advisors and planners – we wanted to create an App that would serve our clients well, give them easy access to systems we use with them and really help differentiate us versus other advisors they may consider. The App is something measurably different about us which has a specific advantage to the user and is enough in many cases to impress and cause the question ‘this is great, what else do you do?’. For a firm that ‘does’ financial planning for individuals differently to much of the market, that is a great question to seek to instill in people's minds." "When I first started my practice full-time with a few clients and a lot of hope the question was “How do I get new clients” the answer then was “by word of mouth”. In time the same question would bring a reply “You need to advertise in local papers”. Move forward and the answer become “you need a presence in Yellow Pages and Thompsons Local”. Moving on again and the answer becomes “you need a website”. Now having survived all this time and seen and worked through all these changes I believe the answer is “you need an App”." "We chose MyFirmsApp as we wanted to differentiate as a firm and continue to be at the cutting edge of technology with clients and prospects. Along with the App, which has been created for us – we also chose a marketing pack to help us easily promote and distribute our new App. We were particularly pleased that even before we began marketing it, we had won 2 clients who had found our App and enquired through it! This has already paid for the App and we now look forward to marketing it with earnest and enjoying the results from that." "I just wanted to send you a quick email to say thank you for your work on the app. It’s been an excellent tool for the practice, we’ve had numerous benefits. One area where we regularly see it working is with new business generation. To give you one example, just last week we had a new Barrister client join us who had come across our App. She really liked the tools and the fact that it was such a helpful and different way of supporting clients. It was enough for her to get in touch and then with our strength of experience in the is sector – a new client was won! It’s great to see the App initiating contact like this and supporting our reputation." "What the team at MyFirmsApp have produced is, in my view, one of the most exciting products I have seen for accountants in many years. It enables firms to innovate, stand out and differentiate themselves at remarkably low cost. Once deployed via the appropriate Apple and Android stores the App provides a remarkable client engagement tool capable of saving hours of time. Its also an active prospecting tool, helping accountancy firms to win quality new customers." "I have sent the app to a few friends as Guinea pigs who love it and think it is not what they would expect from their accountants!!" "We subscribed to MyFirmsApp after being impressed at Accountex 2015. The implementation was smooth and the functionality has raised our profile with clients, providing them with useful tools to enhance decision making and controls"